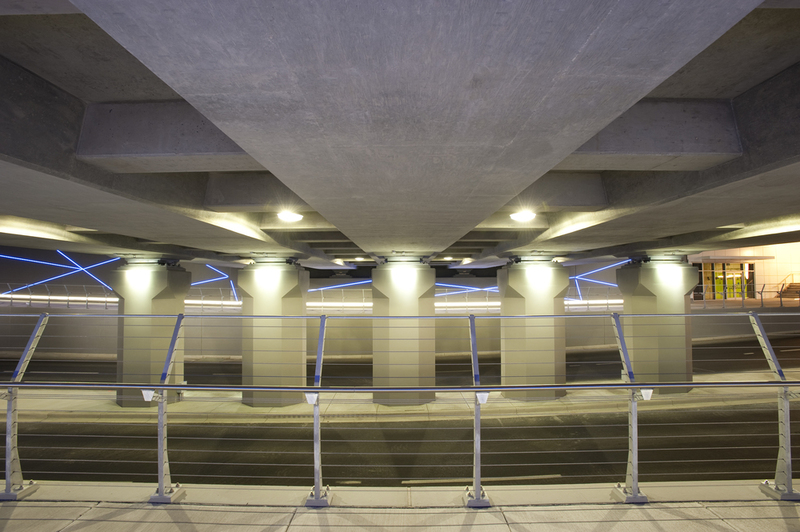 A vital link from East Village to the Beltline communities and Stampede Park, the 4th Street SE Underpass opened to traffic on November 1, 2011, after more than three years of planning and construction. This $70 million infrastructure project also improves walkability for Inglewood, Victoria Park and downtown Calgary. 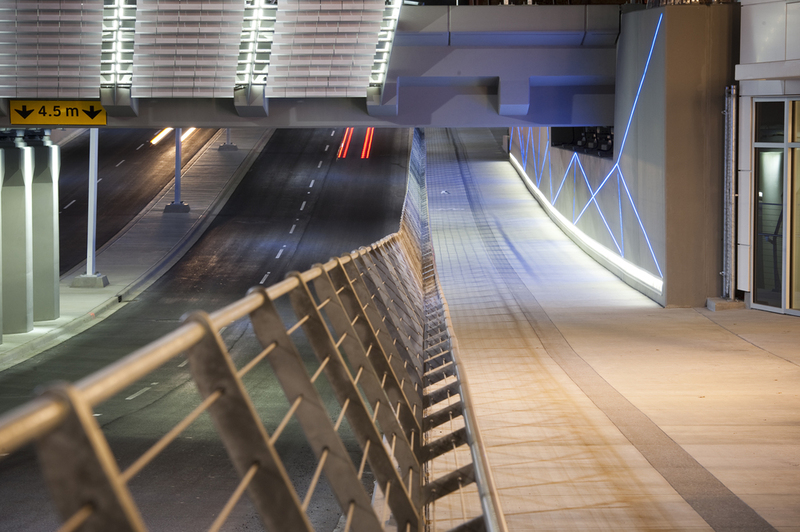 For the comfort of pedestrians and cyclists, the underpass features wide sidewalks, dedicated bicycle lanes and state-of-the-art LED lighting in its walls and handrails to make the space brighter and more inviting. Its canopy also houses a unique kinetic artwork installation. Within a galvanized metal armature, hundreds of aluminum fans are fastened to pivots that allow each fin to move with the motion of the wind or a passing train. 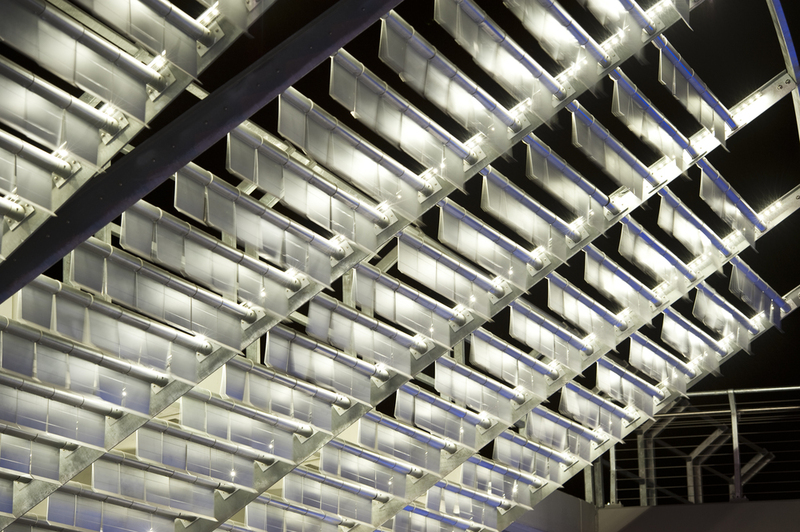 The installation also allows light to penetrate the space below. Once the build-out of East Village is complete, the 4th Street Underpass will accommodate around 22,000 vehicle trips a day.